Check out Tobi's Adriatic High Waisted Denim Skirt Looking for the perfect denim skirt? Look no more. 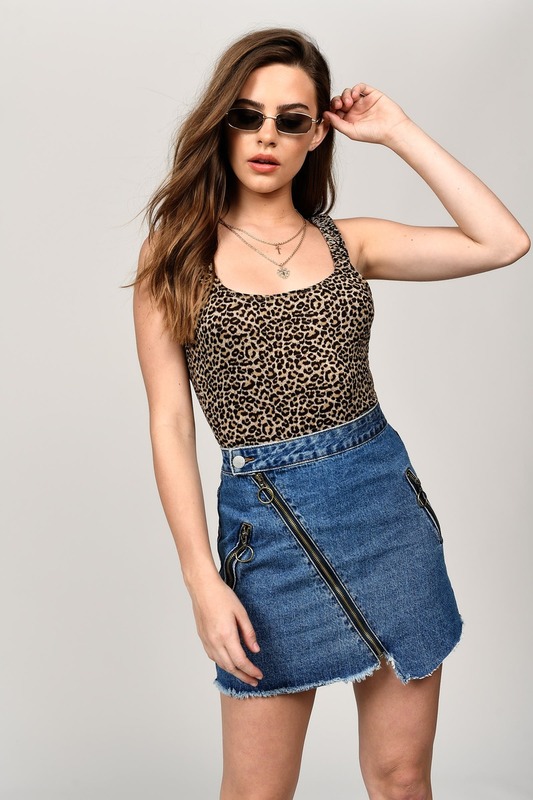 The Adriatic High Waisted Denim Skirt is versatile and effortlessly chic, featuring an asymmetrical zippered front, button closure, high waisted construction, pockets, and a raw hem finish. This stretch denim skirt looks fantastic with a band tee. Looking for the perfect denim skirt? Look no more. The Adriatic High Waisted Denim Skirt is versatile and effortlessly chic, featuring an asymmetrical zippered front, button closure, high waisted construction, pockets, and a raw hem finish. This stretch denim skirt looks fantastic with a band tee. Vintage Wash modeled on a size 26.